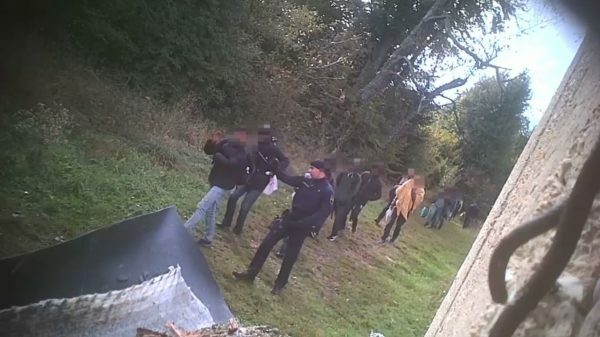 After the publication of video footage by Border Violence Monitoring2 on 16th December 2018 showing illegal collective expulsions of people on the move at the EU external border with Bosnia and Herzegovina, more serious allegations were raised against Croatian police officers from several sides. Save the Children published a report that gathered testimonies of more than 1,350 cases of children being pushed back across European Union borders between January and November 2018. Almost one third of these cases reportedly involved violence inflicted by police or guards at borders. Most of the cases occurred at the Croatian border to Serbia, but they also mention violent practices at the Croatian-Bosnian border.3 No Name Kitchen Kladusa, in cooperation with Balkan Info Van, states in their recently published overview report on border violence to have observed “an increase in the deployment of police forces and violent practices, making legal and safe transit to Europe impossible”, to have “received consistent reports from men, women and children, of abuses that remain either uncovered or denied, leading to no prosecution of the perpetrators and continued border violence.”4 Following these further allegations which are still being denied by the Croatian Ministry of the Interior (MOI) in a statement published after the publication of the video footage, Border Violence Monitoring wants to take a position reacting on some of their points. A well-grounded counteropinion should be voiced through a collection of views expressed by a number of actors who deal on a daily basis with the illegal practices at the Bosnian-Croatian border. We call on the European Commission to follow through with this concern and treat it as a matter of high priority. We further demand a call by the European Commission on Croatia to halt and transparently investigate the collective expulsions (so called push-backs) of asylum seekers to Bosnia and Herzegovina, allegations of violence against asylum seekers and chain-push-backs from Slovenia to Croatia and then to Bosnia and Herzegovina. The number and weight of the dissenting votes listed in this statement speak for itself and should be absolutely sufficient as a well-founded suspicion to be investigated by the responsible authorities. The European Commission should also monitor the cross-border denial of asylum and push-backs of migrants and asylum seekers by European Union Border Officials, including to hold the responsible implicated officials to account. Full cooperation with the Ombudswoman’s should be guaranteed, as required by national law. Money allocated by the EU for the purpose of border security should be extensively examined of its usage.